Testers score from 0.5 to 5 for each categories. We sum up the scores, and calculate the average. These are products we’ve tested. A,D,E is Korean cosmetic brand. 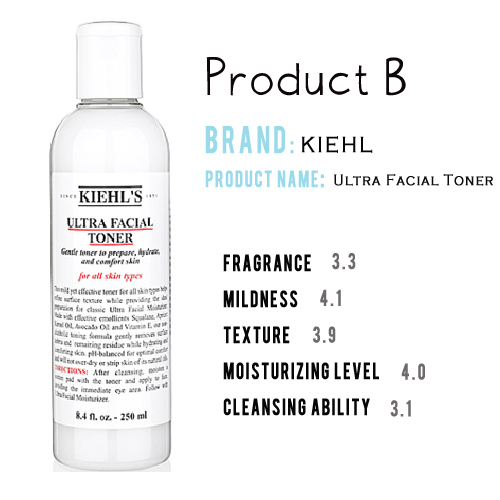 B is, as we know, KIEHL. and C is also famous one. CLINIQUE. This Toner is korea cosmetic brands MISSHA’s toner. this is one of their best sellers. It’s known for pore controlling and reducing sebum. 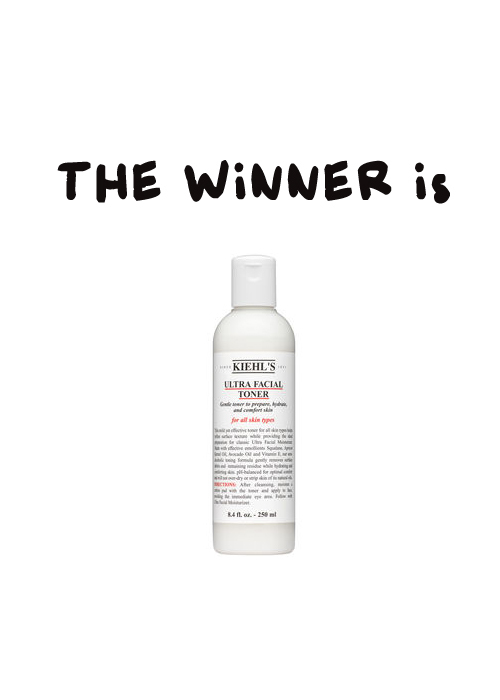 This Toner is global brands KIEHL’s hydrating line toner. Mildness and smooth texture is biggest merits of this. And it’s got high marked generally. This one is CLINIQUE’s best selling item. Well known for strong alcohol scent and detergency. So they got lowest fragrance score. but cleansing ability is the best. 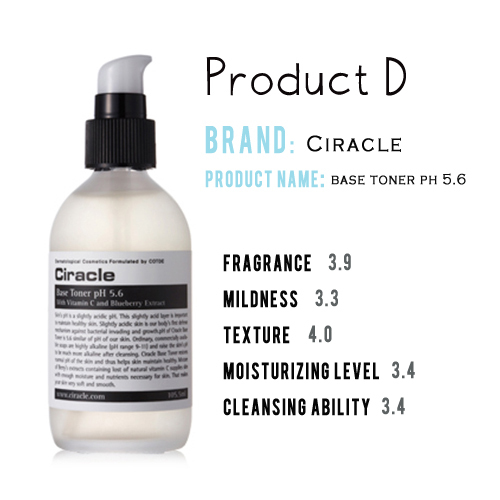 This toner is Korean brand Ciracle’s base toner. It contains blueberry extracted ingredients, and soothes skin. It have the best marks on fragrance and texture. 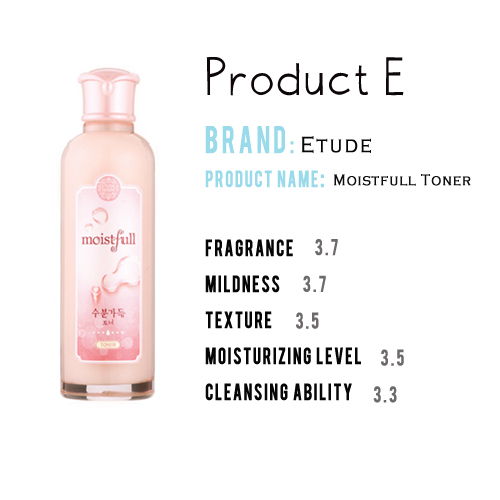 ETUDE and MISSHA is not in this rank, but ETUDE’s points were evenly high (ETUDE’s lowest point was cleansing ability/23.5). MISSHA’s score is not special, just so so. 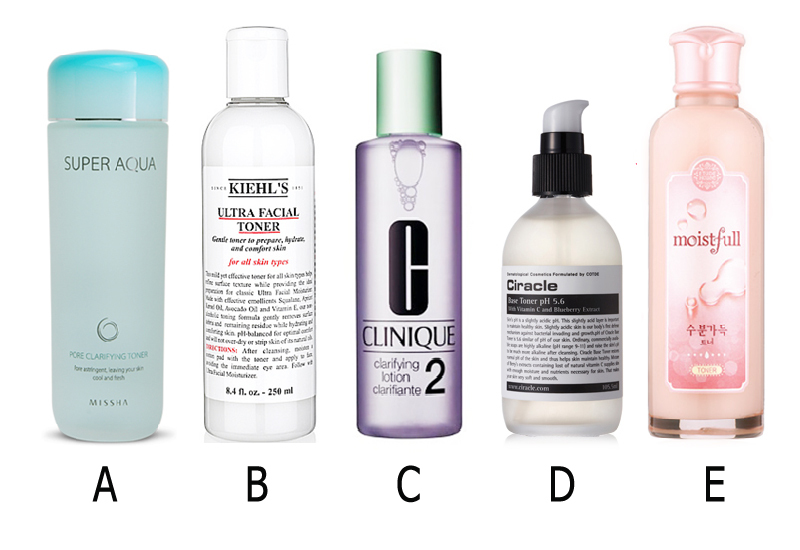 Most of Singapore beauty bloggers doesn’t like a CLINIQUE’s alcohol scent. And they likes a CIRACLE’s fragrance and texture. 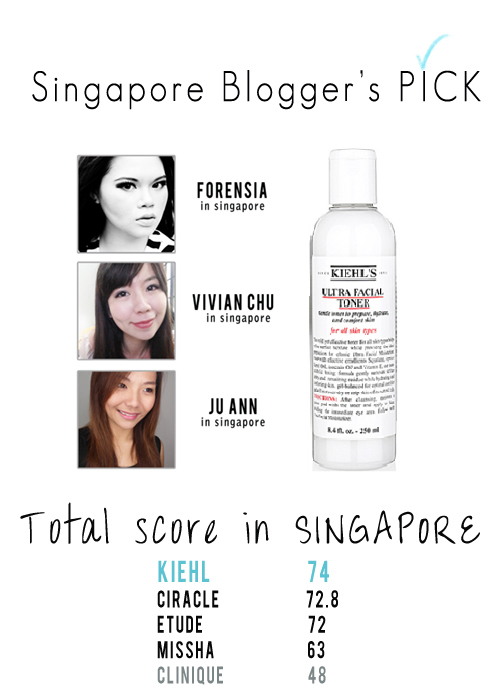 But they give highest points to KIEHL’s mildness and moisturizing ability. These Korean beauty bloggers tend to give low marks than Singapore girls 🙂 But their lists are perfectly same as Singapore’s. Also, there’s no odds between Ciracle and ETUDE’s score. 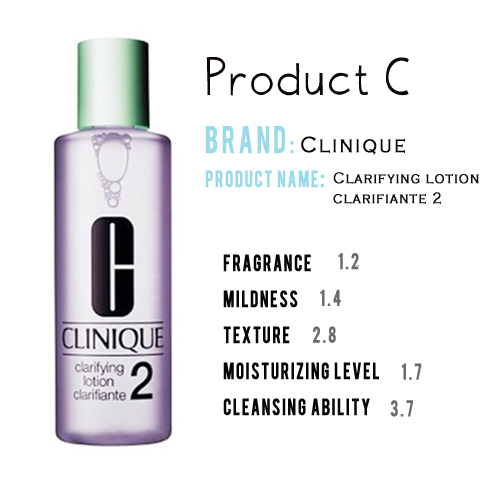 But if someone has healthy skin, and paint her face thickly, she will choose CLINIQUE’s because of its cleansing ability. Or someone has a oily skin and need to control the pores, she will pick the MISSHA’s toner. Plz remember this test was performed by a small number of people. Looks really fun testing the products where the brand of the product was not stated, keeping me in suspense. Wow ~ Great !! I will check before buying the toner ! I would like to be a part of this project. But oh, I live in the USA? Thank Mai 🙂 we’ll send you a mail soon! This looks so fun!! I would love to be part of this project! :) thank you! !